This groom, himself a retired wedding photographer, surprised me by suddenly looking right into my lens and pointing at the ring that his bride and just finished sliding onto his finger. I'm so relieved I was ready and able to catch it, because he didn't give me much time! 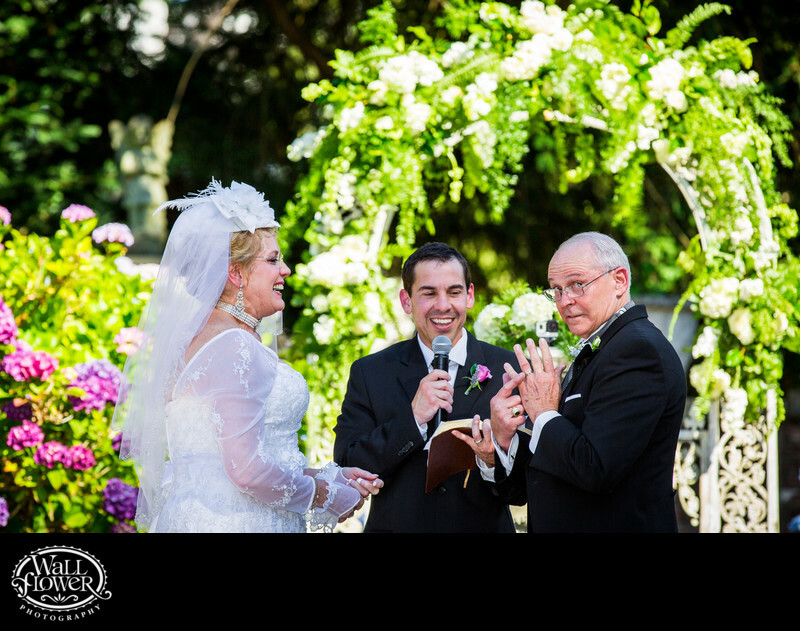 This wedding ceremony is in the sunken garden at Thornewood Castle in Lakewood, Washington, near Tacoma. It was featured in the 2015 issue of South Sound Wedding and Event magazine.